One of my favorite things to do as a craft blogger is spread the love around to my colleagues. When I run across a cool blog, I love to share it with my readers. Turns out, this is one of the most popular features on my blog. So it’s a win-win situation for everybody. I do it just for the joy of sharing with my readers. But sometimes it’s actually led to a business opportunity for us. For example, our blog round-up is how the folks at the Big Island Craft Retreat found us. Now, we are preparing to do a workshop at the beach as guest teachers. We are really looking forward to it. 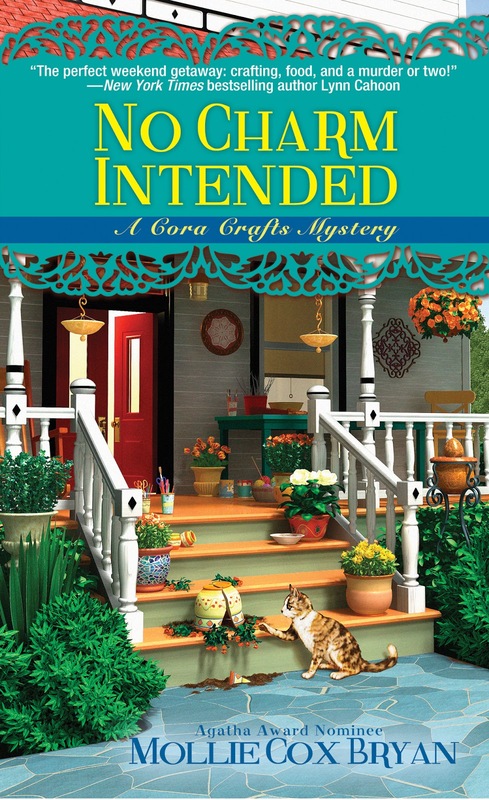 Mollie Cox Bryan is the author of the Agatha-award nominated Cumberland Creek Mysteries and a bestselling Kindle-World romance novella THE BEEKEEPER'S BRIDE, A ST. HELENA VINEYARD KINDLE WORLD NOVELLA. 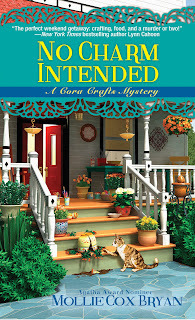 She just released a new series: "Cora Crafts Mysteries." The first book is DEATH AMONG THE DOILIES, which has been nominated for the Daphne du Maurier Award. the second book in the series, NO CHARM INTENDED, was just selected for Woman's World Magazine's top ten beach read list.